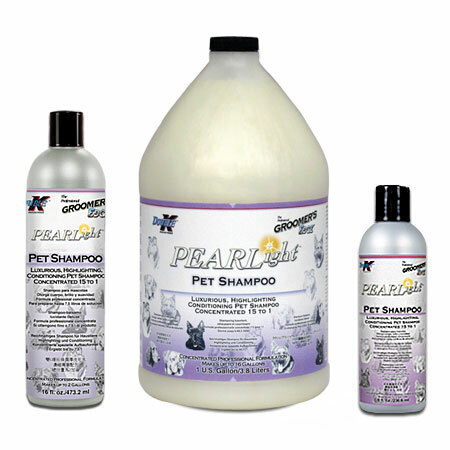 PEARLight™ is a deep cleaning, conditioning, highlighting shampoo. This innovative formula is perfect for animals of any color and most types of hair or fur. Leaves hair soft, shiny, and manageable, without depleting body. Great for dogs, cats, puppies, kittens and all companion and farm animals.